Some who believe in the Records claim that they were used by ancient peoples around the world, including the Indians, Moors, Tibetans, Egyptians, Persians, Chaldeans, Greeks, Chinese, Hebrews, Christians, Druids, and Mayans. The belief is that the ancient Indian sages of the Himalayas knew that each soul recorded every moment of its existence in a “book”, and that if one attuned oneself properly then one could read or view that book. In Egypt, it is said, those who could read the Akasha were held in high standing and were often found advising Pharaohs on daily activities and dream interpretation. A Chinese gentleman named Sujujin was reported to need only the first name of anyone to access the Akasha and describe their life history; another Chinese seer, named Tajao, explored a variety of topics in the Records which span over two thousand years. The Bible mentions the records as Book of Life on several occasions, both in Old and New Testament. The Vedas of Hindus and the language of Sanskrit itself are said to have been extracted from Akash. Believers claim that the Druid cultures of England and Wales (400–900) demonstrated the ability to access the Akasha. To gain access to the Akasha, the famous seer Nostradamus claimed to have used methods derived from the Greek oracles, Christian and Sufi mysticism, and the Kabbalah. Individuals who claim to have consciously used the Akashic Records include : Charles Webster Leadbeater, Annie Besant, Alice Bailey, William Lilly, Manly P. Hall, Lilian Treemont, Dion Fortune, George Hunt Williamson, Rudolf Steiner, Max Heindel and Edgar Cayce. Despite claims that the Akashic Records have been used by mystics throughout history, the term itself, along with the concept of an aetheric library, originated with the 19th century movement of Theosophy. Skeptics suggest that the concept of Akashic Records has been attributed indiscriminately and inappropriately to a wide range of historical religious figures and movements. The theory has also been rejected by the scientific community, due to a lack of any independently verifiable evidence. The Akasha is said to be the library of all events and responses concerning Human Consciousness in all realities. Every human therefore supposedly contributes and has access to the Akashic Records. It is claimed that to gain access into the Akashic Records, every individual human can become the physical medium, and various techniques (e.g., yogic breathing, visualizations) can be employed to quiet the mind, become a “witness”, and achieve the focused, preconscious state necessary to access the Records. While in the Akashic Records and viewing the past, both the events and responses are said to be visible. This can be compared to seeing a full color movie with a plot and characters. When viewing the future, the events are known, but the responses are only probable. Based on an individual’s responses in the past, the Akashic seer/reader can investigate probable future responses and give the highest future probability. A simple illustration of this might be witnessing several alternate endings to the main characters in a movie (e.g., Run, Lola, Run). However, at some point in the evolution of the Akashic reader, a state of unification and awareness can be achieved whereby even the future responses are known with absolute clarity instead of only as a probability. In Theosophy and other New Age-related faiths, the Akashic Records are records of all knowledge, including all human experience down to the finest detail, held in the universe. The Akashic records resemble a library and are also compared to a universal computer (some would say the ‘Mind of God’). The Akashic Records are referred to by Edgar Cayce, who stated that each person is held to account after life and ‘confronted’ with their personal Akashic record of what they have/not done in life in a karmic sense. This is not however a process evaluated by the supposed limited lowly earth plane mind—i.e. the brain—but one fathomed by the higher mind or one’s ‘super-consciousness’. Jane Roberts in the Seth books describes a different version of a similar idea when Seth asserts that the fundamental stuff of the universe is ideas and consciousness, and that an idea once conceived exists forever. Seth argued that all ideas and knowledge are in principle accessible by “direct cognition”. Direct cognition is similar to or perhaps identical to intuition and is said to allow direct knowing without time elapsing and without knowledge needing to be transferred e.g. in speech or text. This is similar to what Robert Monroe refers to as rotes in his out-of-body book trilogy. 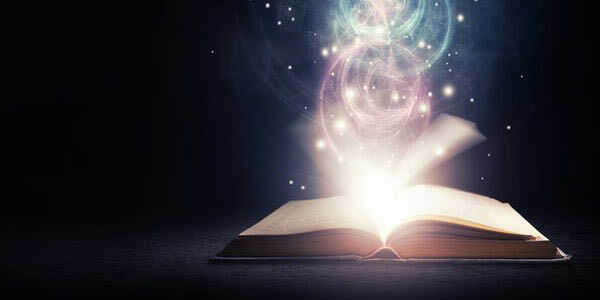 Some writers believe that free from and independent of all religions and faiths, there exist many libraries or record repositories such as the Akashic library throughout the universe, albeit on various planes of existence. According to Max Heindel’s Rosicrucian writings, the Memory of Nature (Akashic Records) may be read in three different worlds (planes). In the reflecting ether of the Etheric region there are pictures of all that has happened in the world – at least several hundred years back, or much more in some cases – and they appear almost as the pictures on a screen, with the difference that the scene shifts backward. The Memory of Nature may be read, in an entirely different manner covering the essence of a whole life or event, in a higher world, the World of Thought, also known as Mental plane, in its highest subdivision: the Region of Concrete Thought and, last, it may be read in the World of Life Spirit, covering events from the earliest dawn of our present manifestation, but only Adepts and higher spiritual Beings are able to reach the reading of this higher Memory (or Records).